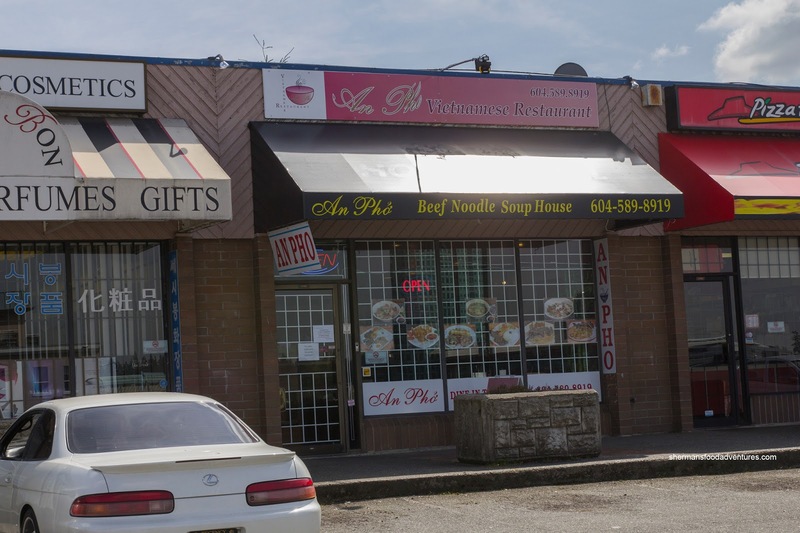 If one wanted to grab some Pho out in Whalley, the default would be Pho Tam. It's been around for awhile and serves up the best Pho in the GVRD (in my opinion). Everything else pales in comparison, but that is not to say there are places not worth trying either. 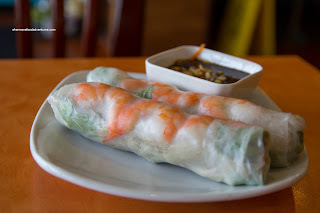 One place I tried about half-a-year ago was Pho Tamarind, tucked inside a strip mall on 104th. As fast as it opened, it closed and suddenly became another Pho 99. And even before I could even pay it a visit, it suddenly morphed into An Pho. Man, this Vietnamese joint was doing its best "Changing Chinese Restaurant" routine. Well, I quickly jumped at the chance to eat there before it became something else. I started things off with the Salad Roll which was pretty textbook. The rice paper wrapper was soft while still chewy. 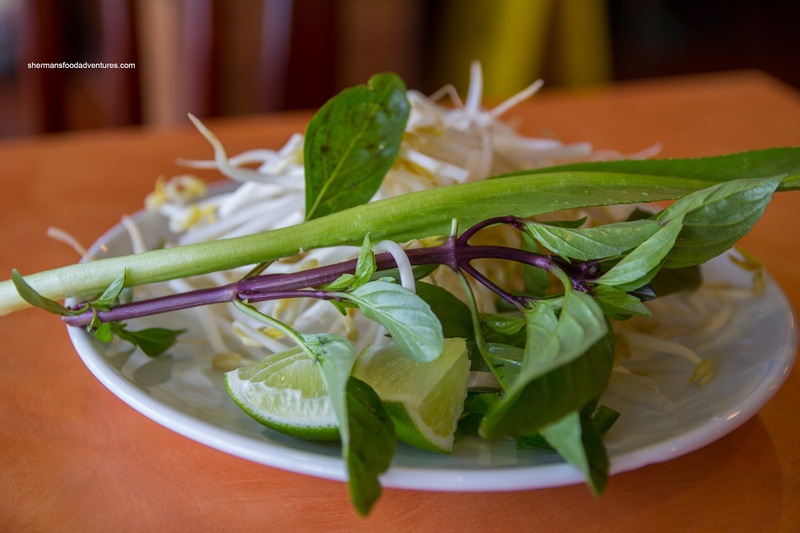 Inside, there was rice noodles, sprouts, lettuce, pork, shrimp and basil. It was well constructed and not lacking in any ingredients. One thing I didn't like was the dip as it was predominantly hoisin. As usual, I followed that up with a bowl of Pho Dac Biet. I loved how they included saw leaf herb with the sprouts. 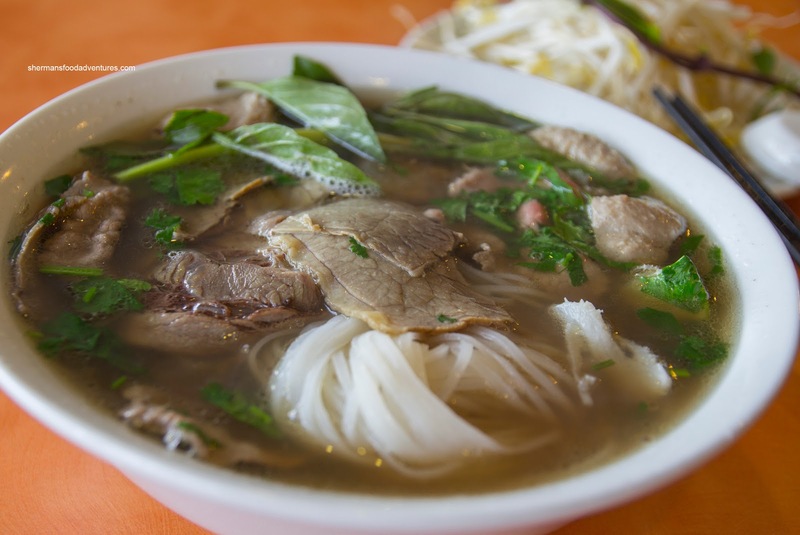 As for the Pho itself, I found the broth pretty standard where it wasn't exactly overly meaty, but did have enough going for it to not be bland. There was a decent amount of al dente noodles and tender meats as well. Not Pho Tam quality, but respectable in my books. 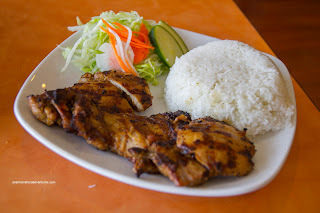 Lastly, I also tried the Lemongrass Chicken on Rice. It was a good portion size consisting of 2 large pieces of leg meat. It was charred beautifully, moist and was very flavourful. Strangely, I found the food very similar to that of Pho Tamarind (which was 2 stores ago). Not sure if the previous owners are back under a new name? Whatever the case, the food was decent and so were the portions.